From GoNoodle to crafting to old-school games, we’ve got you covered. Unless you live in Norway (or northern Minnesota), where they say, “There is no bad weather, only bad clothing,” chances are extreme weather will occasionally result in what is the bane of some teachers’ existence: indoor recess. And while it may throw off the regular rhythm of the day and deprive kids of much-needed running-around time, indoor recess can actually have some benefits. Playing in the classroom can help kids build social skills, like teamwork, cooperation, and sharing. It can give them time for creative play and free choice (which, in the course of a regular school day, may not happen very often). And it can also teach kids to choose appropriate activities and use their time wisely. 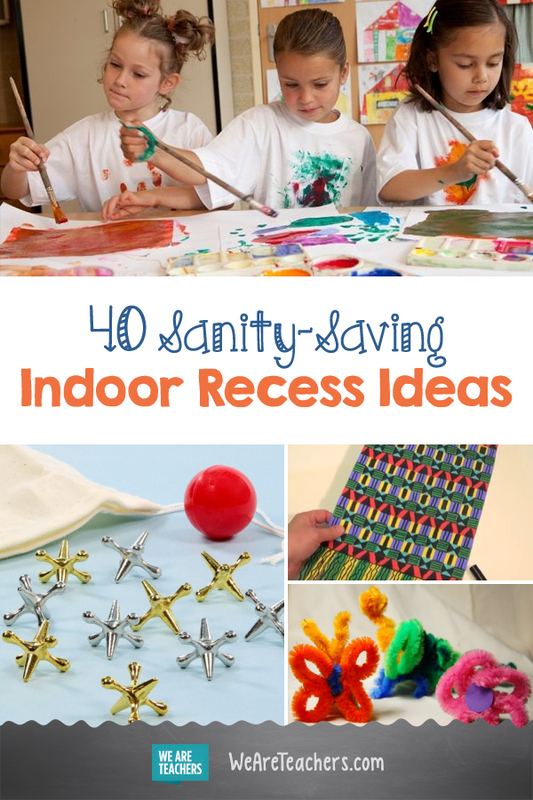 Here are 40 fun indoor recess ideas, some new and some tried and true. 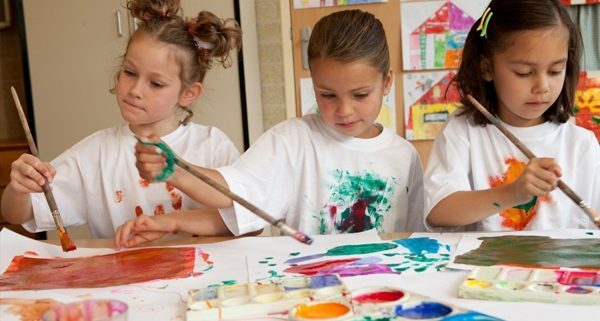 No instructions necessary—most kids know exactly what to do with free art time. All they need is lots of paper (you can even retrieve some from the recycling bin), colored pencils, crayons, markers, and paint. 2. Bust out the Play-Doh. Who doesn’t love that squishy, funky-smelling stuff? Add fun, easy-to-find accessories like cookie cutters, letter stamps, and shape molds and watch students get busy. 3. Do arts and crafts. The popularity of makerspaces has introduced kids to the possibilities of using a variety of everyday supplies, such as pasta, yarn, wire, paper tubes, plastic lids, and pom-poms, to create original works. There are numerous books and videos that teach students the ancient art of folding paper into whimsical shapes. Have a few resources available, along with a supply of fresh paper. Weaving is a simple pleasure and result in really beautiful pieces of art. Here is a simple tutorial video for weaving with yarn or string. 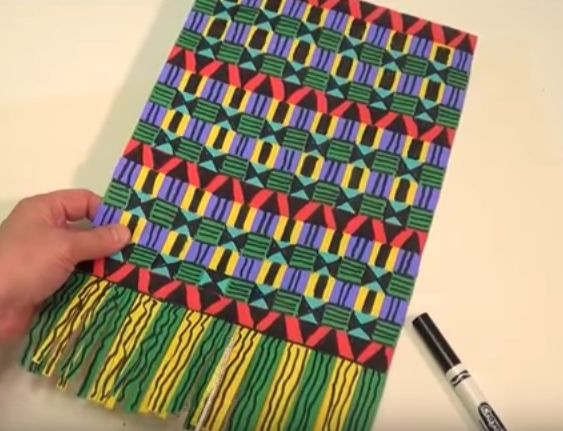 And here is a video that teaches paper strip Kente weaving. Once students are introduced to the process, they can do it independently, whenever they have time. One craft supply that’s fun to stockpile is buttons. Buttons come in so many interesting sizes, shapes, and colors. Kids can string them into necklaces or bracelets or glue them onto paper to create colorful mosaics. Give kids who like to draw a step-by-step tutorial, and you’ll be amazed at how focused they become. Search YouTube for directed drawing, and you’ll find short videos that teach everything from dolphins and fairies to turtles and more. In addition, check your school library for learn-to-draw books—usually some of the most popular check-outs in their inventory. Keep a collection of old magazines that kids can use to find and cut out images to piece together into colorful collages. 9. Get focused with Mandala coloring pages. Coloring mandalas is a super relaxing activity. It can be the perfect way to reset your students’ energy level before getting back to work. 10. Create music with Boomwhackers. Boomwhackers are colorful plastic tubes that are designed to make gentle musical tones when tapped against hard surfaces. Let students tap into their inner Mozart and compose their own musical arrangements. 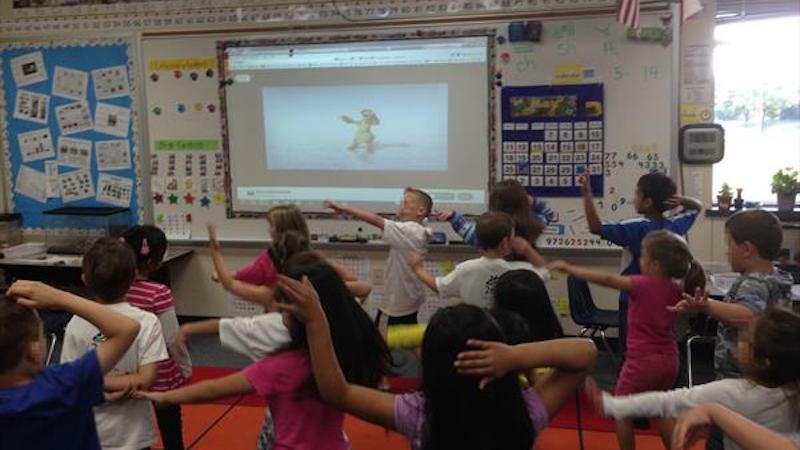 So many teachers count on GoNoodle, specifically the indoor-recess channel, as their go-to for indoor recess. The videos are fun and engaging and get kids up and moving. 12. Practice a little yoga. Cosmic Kids Yoga is a great source for 10- to 15-minute videos made just for kids. They use stories, music, and characters to make yoga fun. 13. Have a dance party. Put on Dance Dance Revolution, Just Dance Kids, or any kids music channel and boogie away your recess. 14. 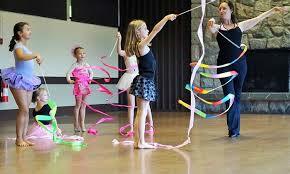 Express yourself with a little ribbon dancing. Use cardboard paper towel tubes and crepe paper to create ribbon sticks. Put on a little music and let kids dance to their own beat. Cup stacking helps develop dexterity and speed. Kids can set goals independently, work as teams, or have a little friendly competition as they practice their skills. Use painter’s tape to create a hopscotch grid on the carpet or tile. Substitute stones with crumpled up paper. 18. Follow the Wellness Way. Check out this free set of printable posters that’ll get your kids up and moving. Kids can follow any of the three color-coded paths, move, recharge, and mood. 19. Create with colorful pipe cleaners. For some reason most kids are fascinated by these fuzzy, flexible art supplies! The possibilities for creating bendy sculptures are limitless—from jewelry to accessories, like hats and purses; animals shapes; and more. Keep a supply of large and small popsicle sticks and let kids build creative contraptions, using Play-Doh as joints. There are so many easy-to-find materials kids can use for building towers and structures. Think straws, spaghetti, painter’s tape, toothpicks, marshmallows, and Wikki Stix, to name just a few. For tower challenge ideas, check out Tinkerlab. 22. Construct with egg cartons. There is no end to the creative play kids can engage in with building sets like K’EX, Magna-Tile, LEGO, and many more. True, store-bought building supplies can be pricey. Some suggestions? Shop secondhand stores or garage sales, ask families that may have outgrown their supplies for donations, or ask for money on DonorsChoose. Check out this blogfor some popular options. 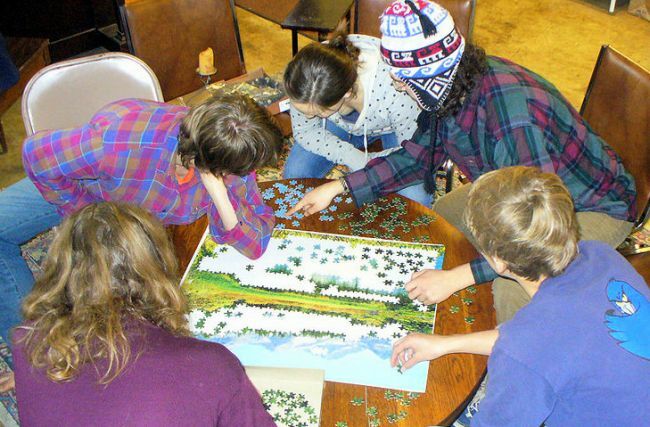 Puzzles help kids develop spatial reasoning, hand-eye coordination, memory, and recall. They also encourage teamwork, cooperation, and sharing. The old standby in most classrooms. Kids can’t seem to get enough of board games. Check out Amazon’s list of best sellers. Quick and easy to set up, card games are a great opportunity for kids to learn about taking turns, strategy, and following rules. Some perennial favorites: Uno, War, and Go Fish. You can also sneak in some math and language arts card games that teach kids skills while they play. Here is a desktop version of Corn Hole, using disks instead of beanbags, for just $10. This fun game combines logic skills and cooperation. This mini version is a perfect fit for the classroom (and doesn’t make as big of a racket when the tower falls). Mancala is one of the world’s oldest games. It’s easy to learn, fun to play, and super easy to make on your own. 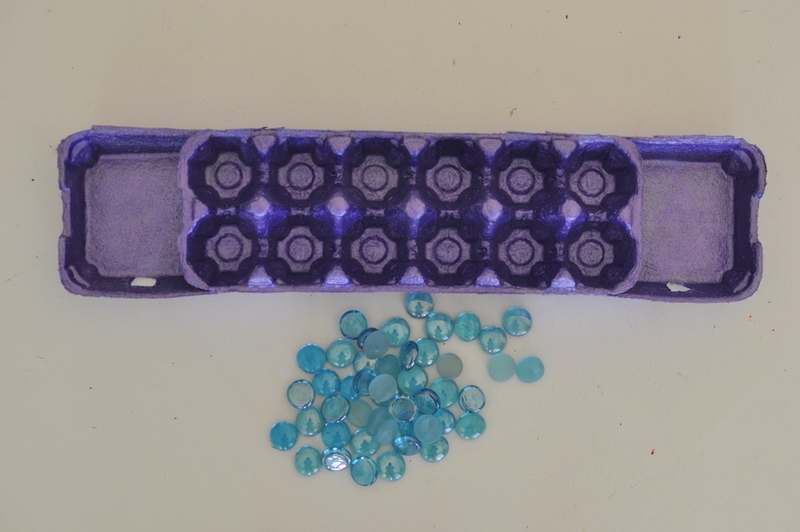 Simply use egg cartons and marbles, shells, or dried beans. Create a mock-up of the popular game show. This Pinterest board has 431 pins for fun Minute to Win It challenges. Generations of students have loved this whole-class guessing game. It’s not only great for indoor recess, it’s also a great time filler when you have five to 10 minutes between activities. Students sit on top of their desks and toss a squishy ball to other students, one at a time, around the room. The number one rule is to remain silent. If a student isn’t silent, they are out and must sit on their chair or on the floor. They are out if they don’t catch the ball. If they fall off the desk, they are out. You can throw in fun variations, like clap once or clap twice between tosses. You can also set rules, like no toss-backs. Another fun whole-class game! You might have to cluster desks or tables together to make space. One player is chosen as it and stands in the middle with their eyes closed. The rest of the class is given a few seconds to choose a corner to stand in, then the person who is it calls out a number between one and four. The players in that corner have to step out of the game. Kids are encouraged to move quietly and cooperatively, as they know the student who is it is listening carefully. Play continues until there is only one student left in the game. Silly, funny, and challenging, Twister is a favorite for everyone. 35. Stitch up a sewing project. Put out scraps of fabric and needles and thread and let kids explore the lost art of sewing. 36. Introduce them to Tinker Toys and Lincoln Logs. More building, this time with an old-school feel. 37. Spin some beautiful art with a Spirograph. Remember those wildly colorful circles you created with the different sized discs on your Spirograph? Your students will love them as much as you did. 38. Introduce your students to Jacks. 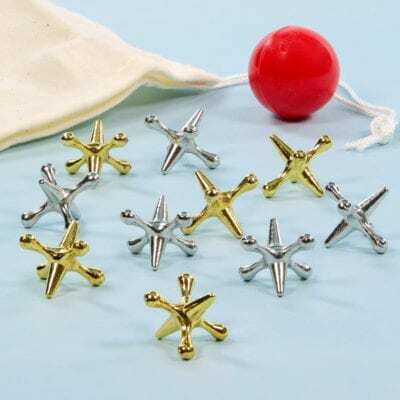 Once a playground obsession, Jacks is a simple game that kids can play independently or with a partner. And if your students really get into it, they can even play tournament style. 39. String up a game of Cat’s Cradle. Another simple hands-on activity that’s easy to teach and easy to play. All you need is a string, maybe a few YouTube tutorials, and your imagination. First, teach your students how to make simple yarn chains. Once they have developed those fine motor skills, introduce them to knitting with thick needles. Knitting is such a meditative practice; it can transform a chaotic free-for-all into a calm, cozy break. What are your go-to indoor recess ideas? Come and share in our WeAreTeachers HELPLINE group on Facebook. Also, check out 25 Old School Recess Games Your Students Should Be Playing Now.